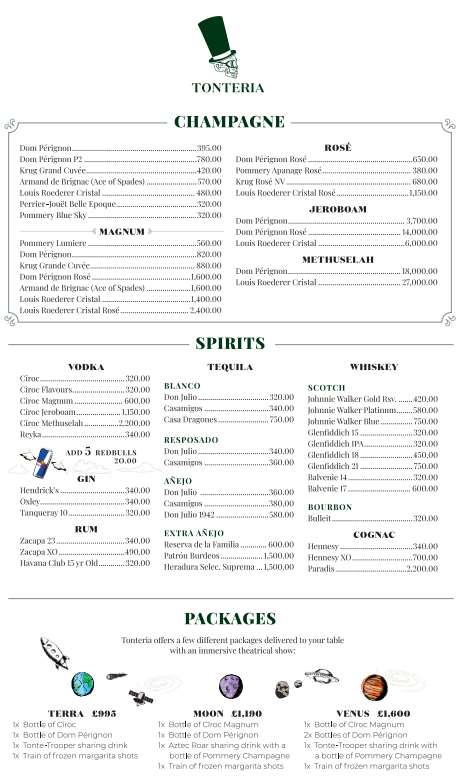 This New Year’s Eve experience an all out party at London’s premier Mexican-style club, Tonteria. Located within the city’s glamorous Sloane Square, this famous party spot is known for leaving even the most hungry of party devotees satiated. 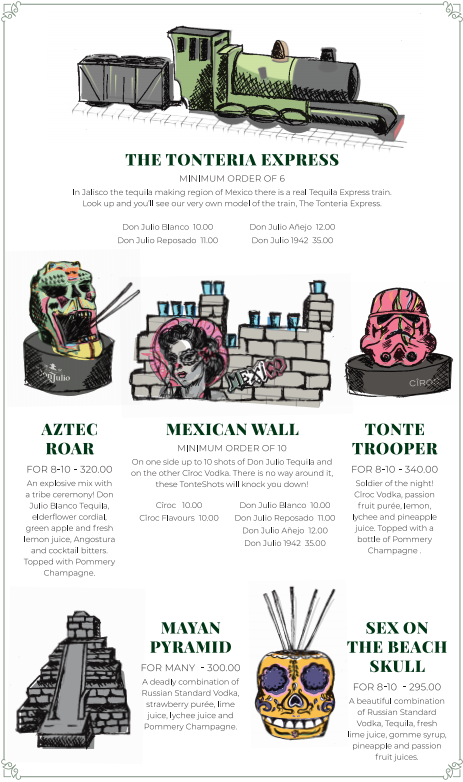 New Year’s Eve is about to get a high-voltage makeover, Londoners, so prepare to get on the tequila train – literally. Tonteria is a hideaway beneath London that turns into an entertainment powerhouse at night. It may be tucked away, but there’s not a person in the city who hasn’t heard of it. Venture into a subterranean fiesta this NYE, where a live DJ will spin epic mash-ups and remixes of the year’s best Top 40, house, and hip hop hits. With a pink neon signs that reads “Hell is empty and all the devils are here,” it’s clear that Tonteria knows how to have fun. As the DJ counts down to midnight, raise a glass of complimentary champagne and toast to 365 new days with London’s finest. To amp up an already explosive NYE, pick up a VIP package and be treated like royalty with reserved seating and bottle service. Tonteria isn’t a club or a lounge – it’s an experience. Employees dress in ancient Mexican garb and dance along with partygoers as they deliver drinks from Tonteria’s extensive lineup of tequila. One of its most known features is the Tequila Express, a wooden train that drops tequila shots to exclusives. Daily Mail says Tonteria is “renowned as one of the most outrageous clubs in London and is owned by one of Prince Harry’s close friends,” that is, of course, nightlife giant Guy Pelly who is the driving force behind London’s most famous nightlife destinations. Known for its celebrity clientele, Tonteria is the perfect nitery for people watching. Jessie J, Justin Timberlake, Pippa Middleton, and Princes Harry and William have all been spotted here. With iron ceilings built for sustaining the flare of flaming bottles that are often seen floating about Tonteria, this club is nothing short of a fortress of fun. This isn’t your average fiesta, this is an all out heart-pumping bash that will leave you thirsty for more. This New Year’s Eve, be a part of a world doused in sparklers, color, and sound. Tonteria never slows down, and this New Year’s Eve we’ll keep the party flowing into the morning.